The subject line is the first part of your message that readers will see, so make sure it conveys the body of your email effectively. Consider beginning it with “you/your” so readers know it relates to them directly. Also, make sure that your subject line prompts readers to read the rest of your message without unnecessarily repeating information directly from the body of your email. It may seem obvious, but remember that all emails should include a clearly-stated objective. Don’t bury your purpose with lengthy sentences or unnecessary details. Let your reader know who you are and why you are sending him or her an email. Ideally, an objective should be stated by the first sentence of the second paragraph for lengthy emails or in the first paragraph for shorter emails. Consider this: your reader is the focus of your email, so you should begin an email with “you” or “your” in order explain the context of you contacting the person. Always remember to focus on the person you are writing to, rather than yourself. Think about arranging the content of your email message hierarchically– use line or paragraph breaks after a key point and highlight or bold key points in your text. Always keep your writing brief, utilizing short sentences and simple language to make sure your point for emailing is clear. Try to make your emails reader-friendly by placing key words or phrases at the beginning of the sentence, for brief, impactful sentences. Always remember to use appropriate punctuation such as semicolons and periods to break up your writing. 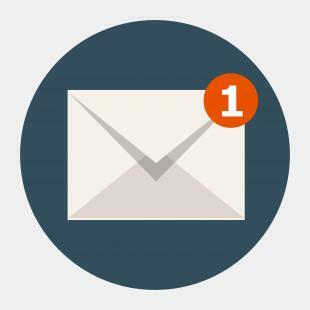 If you need more business email etiquette tips, consider taking an email writing course from OpenSesame.com. Courses range from topics on How to Write Effective Emails, Professional Email Protocol, and Fundamental Email Functions.